To save up your loot, you need a great farming base at Town Hall 7. The gold and elixir storages are spread out and centered, one of the keys for defending your loot in Clash of Clans. Also, the DE storage and the DE drill and completely apart, so even if your attacker manages to get one, it will be hard to take the other. The collectors are even spread out, once again making it difficult for your attacker to steal all of your loot. 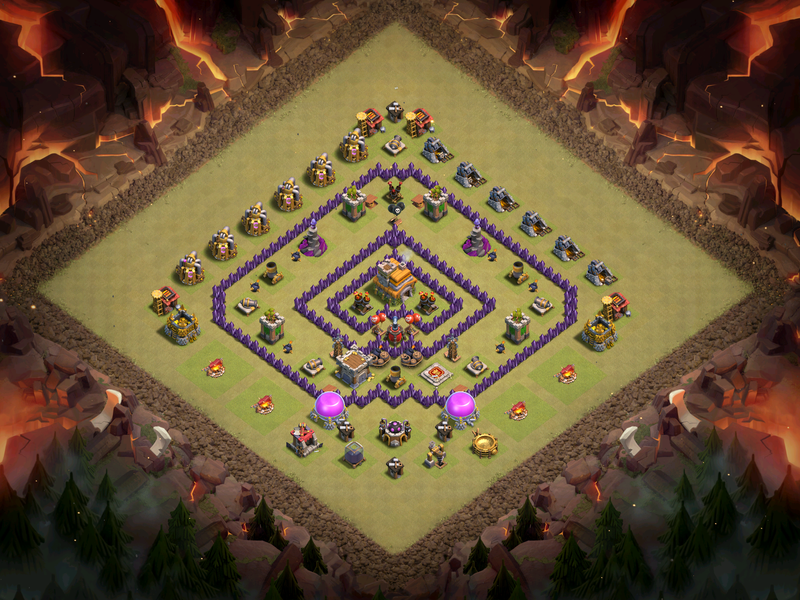 For our first Town Hall 7 war base design in Clash of Clans, we have an anti-hog base layout. 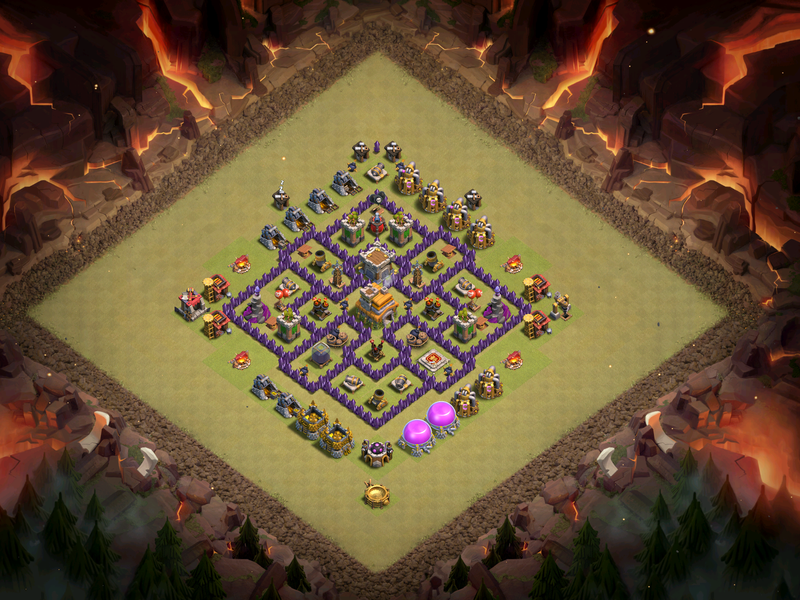 In this base, the hogs will go around the base instead of turning to the center and the Town Hall. Therefore, it is difficult to destroy all of the defenses with the hogs. A spread out base at Town Hall 7 makes is much harder to get all three stars, which must happen for TH7s in Clash of Clans wars. 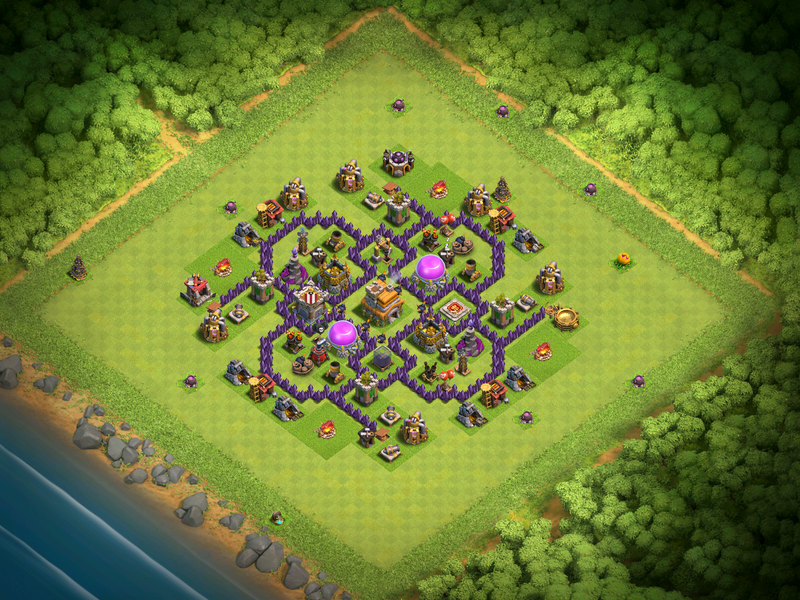 Instead this base is design to get one stars since it is so difficult to reach the Town Hall. While hogs are a popular war strategy for TH7 in Clash of Clans, dragons are definitely the #1 war strategy. To make the perfect anti-drag base for Town Hall 7 in Clash of Clans, you need to have spread out air defenses so that it becomes very hard to take out all three of the air defenses. If even one air defense is still left up in this base, it will wreck havoc upon any of the dragons still left up. This is a great base for allowing the two star, but hoping to prevent the three star. 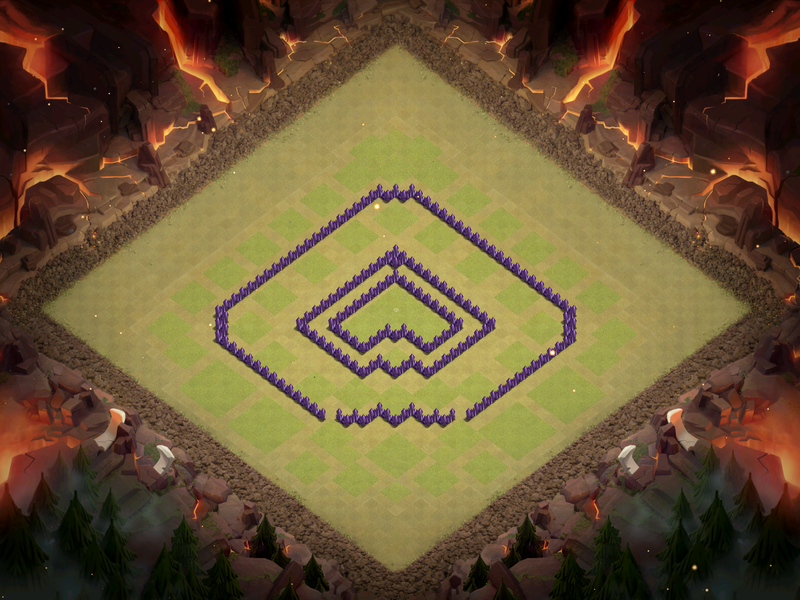 Alright that is it for the best Town Hall 7 base design for December in Clash of Clans! Look for Town Hall 8 base design to come out sometime tomorrow! 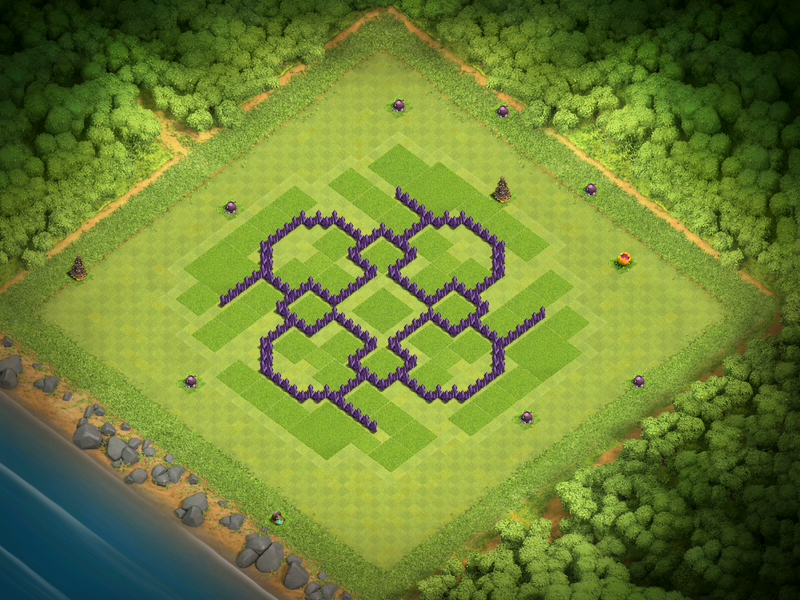 Thanks for reading and I hope that you guys put these bases to good work defending in clan wars. Pingback: Best Town Hall 7 Base Design for December 2016 | Clash of Clans Guide, Strategies, Tricks and More!